#GivingTuesday is November 27th, 2018. This is a wonderful opportunity to give others a precious gift – yoga. 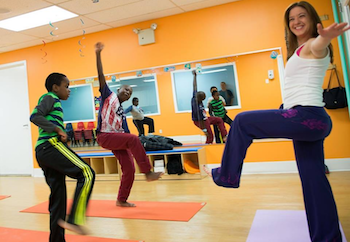 We’ve rounded up some incredible organizations that are working hard throughout the country to bring yoga to those who need it the most. Bent On Learning, a New York City nonprofit, is committed to helping inner city kids find inner peace. 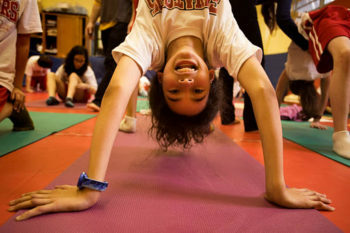 The organization brings yoga to as many students as possible—not after school, but right there, in the classroom, where the learning happens. Purple Dot Yoga Project is committed to empowering and supporting individuals impacted by domestic violence and trauma, using yoga as a healing tool. The Florida-based organization (now serving California as well) offers one-on-one yoga for survivors, in shelter yoga programs for youth and adults, yoga workshops, and healing yoga retreats. 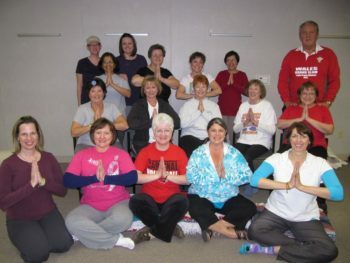 Yoga Bridge provides evidence-based coping strategies to complement medical treatment for cancer and recovery. The Texas-based nonprofit offers free and low-cost yoga programs to all people affected by cancer. Students are part of a nurturing community where they find relief from fatigue, muscle weakness, and stress. The mission of Pop.Earth is to provide holistic health and wellness options to people with Autism and other Developmental Disorders throughout the special needs, disabilities and inclusive communities at little to no cost. This non-profit organization is based in New York. 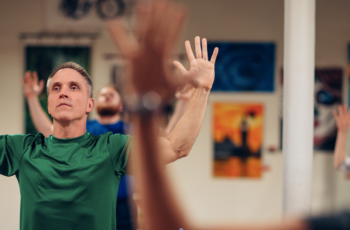 Comeback Yoga delivers free yoga classes to help military personnel, their families and supporters develop resiliency in response to their life experience that may include post-traumatic stress. 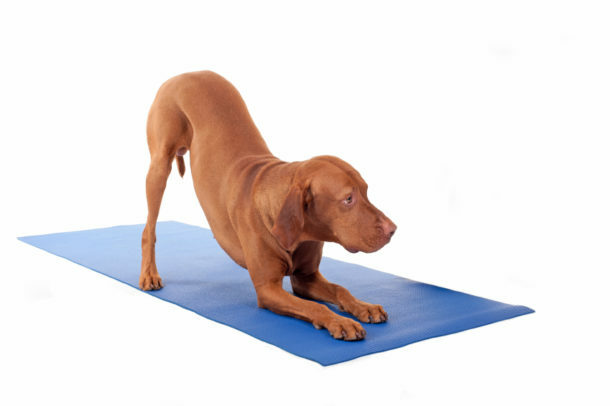 The Colorado non-profit also provides training and support for yoga teachers serving military personnel, as well as funding for veterans who wish to pursue yoga teacher training. Living Yoga provides trauma-informed services and resiliency training in order to ensure all individuals have the tools to heal from the impacts of trauma, prevent re-traumatization, and realize their full potential. 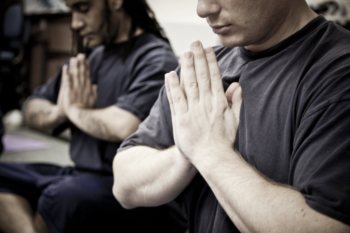 The Oregon-based organization trains volunteers to provide trauma-informed yoga classes in corrections and reentry, addiction and recovery, and community health; and educates community members and care providers to recognize and respond to symptoms of trauma. 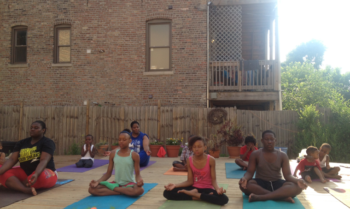 Sheltered Yoga facilitates mental and behavioral health and wellness through yoga and mindfulness education. This mid-Atlantic non-profit serves individuals and communities by using a specialized evidence-based, trauma informed curriculum that fosters strong self esteem, strength, confidence, tolerance and empowerment. Roots2Rise is a Philadelphia-based non-profit offering classes that make yoga and meditation accessible to anyone – all ages, abilities, and income levels. The organization serves everyone, regardless of their neighborhood, demographic, gender, and income level. 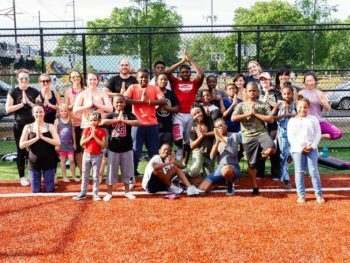 This Chicago-based organization that seeks to aid and uplift communities in impoverished Chicago neighborhoods by teaching & practicing peace, and by making healthy and nutritious foods available. 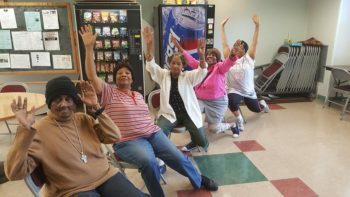 Through yoga, meditation, healthier food options, and beautifying the neighborhood, this non-profit relieves stress and disease in areas where these difficulties are most prevalent. Transformation Yoga Project serves people impacted by trauma, addiction, and incarceration through trauma-sensitive, mindfulness-based yoga programs driven by education and research. This non-profit is based in Pennsylvania. Join our mailing list and you'll receive regular updates and special news about yoga and wellness in the Greater Philadelphia Area.